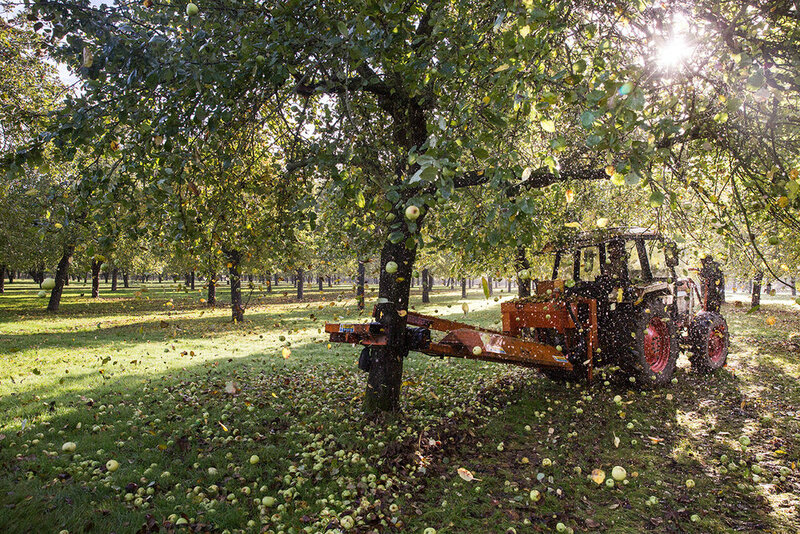 In the autumn over forty varieties of vintage cider apples such as Dabinett, Kingston Black, Stoke Red, Yarlington Mill and Harry Masters are harvested. By the spring our pure juice traditional cider is ready to drink. To the best of our knowledge Burrow Hill Cider is the only cider to have won the annual national cider championships in Devon, Somerset and Hereford in the same year. As well as traditional farmhouse cider we make bottle-fermented ciders, a perry and an ice cider. Burrow Hill is also the home of Somerset Cider Brandy. 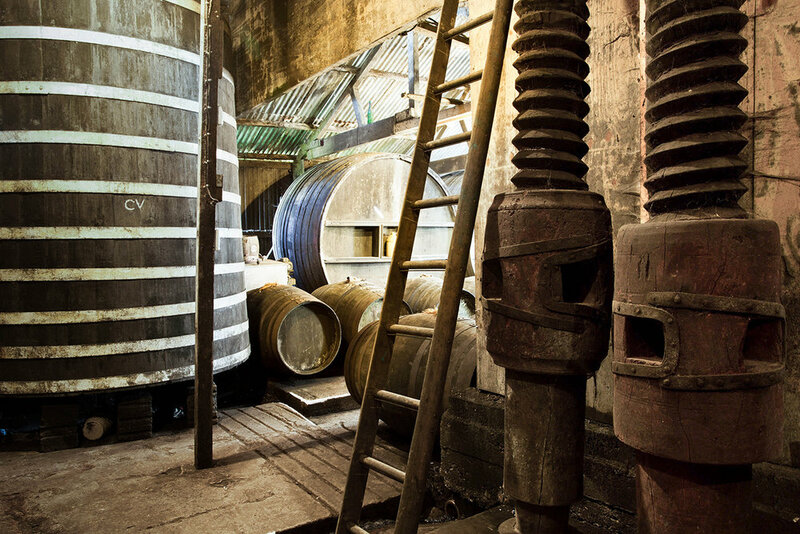 For the past thirty years we have been reviving the ancient art of Somerset Cider Brandy production. Half of our cider is set aside for distilling in Josephine and Fifi, our copper stills. The resulting clear spirit, known as Eau de Vie or ‘water of life’ is trickled into small oak casks to mature into brandy. It takes seven tons of apples to fill just one 500 litre barrel. We bottle Somerset Cider Brandy at 3, 5, 10, 15 and 20 years. 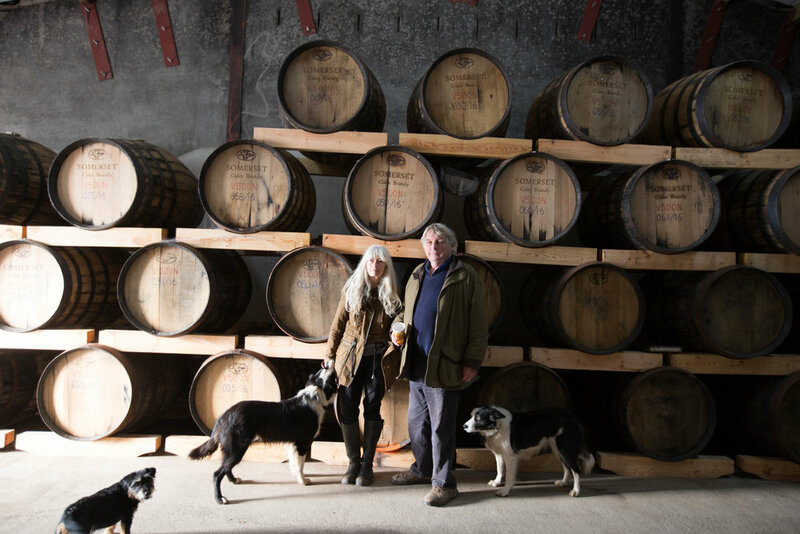 Each bottle can be traced back to its source orchard. In addition to our Somerset Cider Brandy we make award-winning liqueurs including Kingston Black Aperitif and Somerset Pomona.